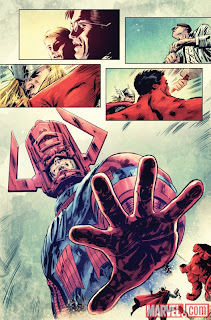 Welcome back true believers! 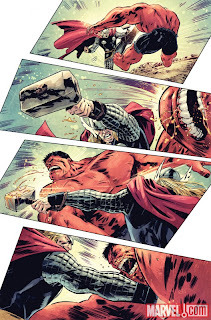 Marvel have supplied us with a sneak peak at the upcomics Hulk #26 written by Jeff Parker with art by Gabriel Hardman. 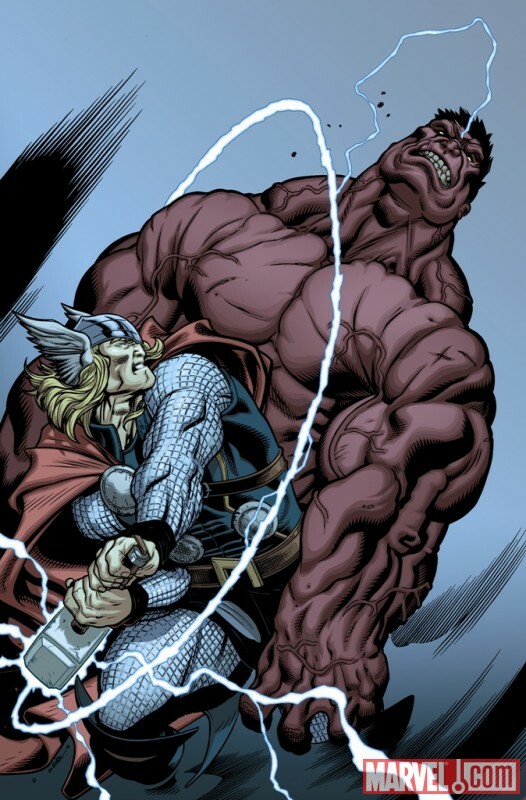 Thor VS Red Hulk... plus Galactus... 'nuff said! 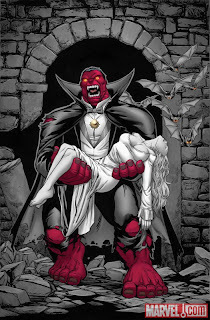 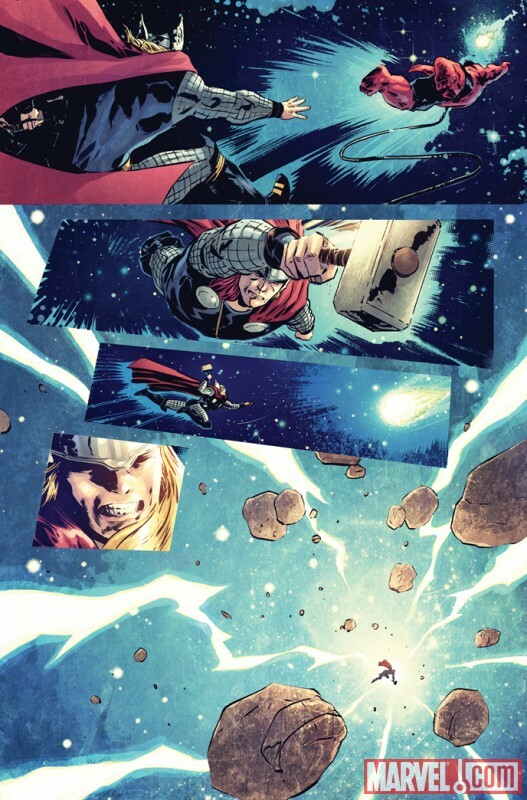 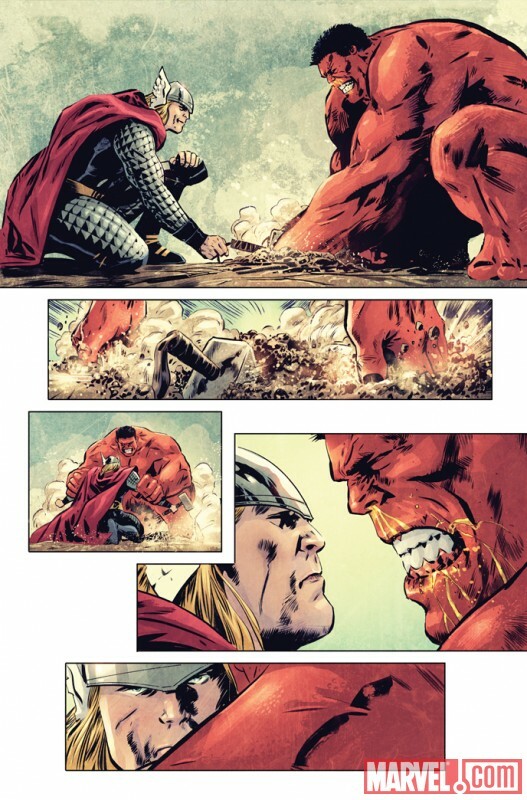 In the previews we see the Odinson absolutely pasting the jolly red giant. 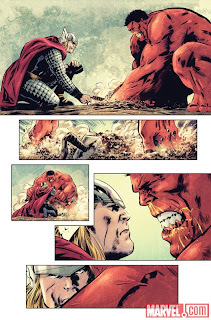 But unless they can kiss and make up, MODOK’s Scorched Earth protocol will end life as we know it. 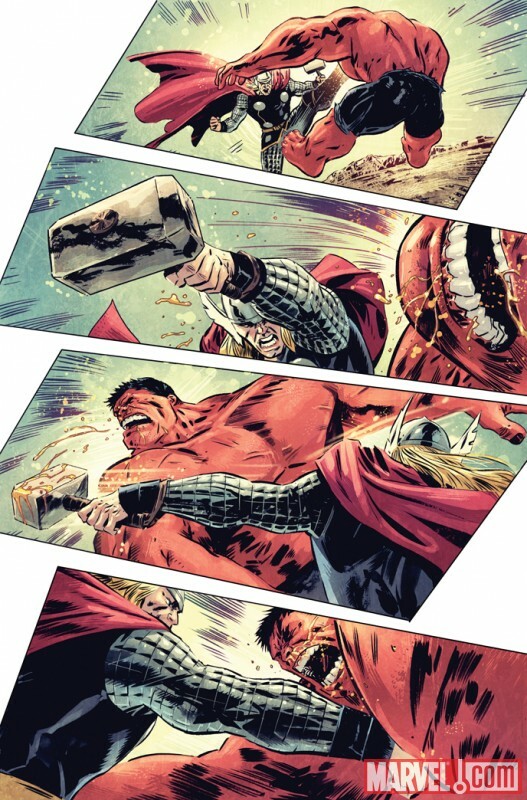 It’s a battle of Asgardian proportions in Hulk #26!